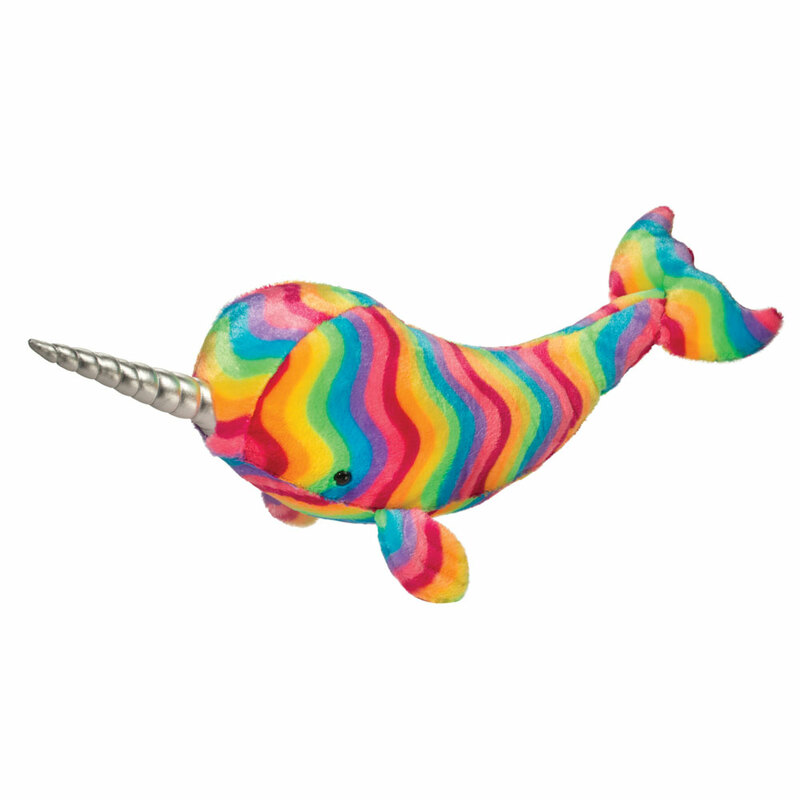 This majestic Rainbow Narwhal Stuffed Animal splashes through the Arctic without a care in the world! He knows that narwhals are “unicorns of the sea” and that makes him feel special and magical. Luxuriously soft rainbow material with a twisted tusk will make a magical splash, we promise. Our constant commitment to quality, safety and value are the pillars of Douglas. This Rainbow Narwhal is recommended for ages two years and up and is machine washable.